love, laurie: my sewing "helper"
the ipad sleeves that i made back in january got me in the mood to break out the sewing machine more often. so, i have been working on a few sewing projects lately. 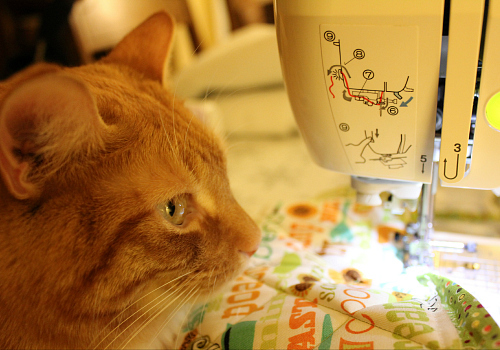 last night i was working on a sewing project, and leko decided that he was going to help me. 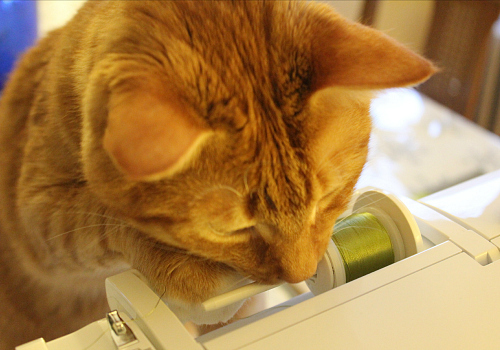 he is absolutely fascinated with the sewing machine, and he gets so excited whenever i bring it out to use it (mainly because he loves to watch the thread as it moves). i was concentrating on the fabric that i was sewing, and all of a sudden i realized that there was some resistance on the thread. 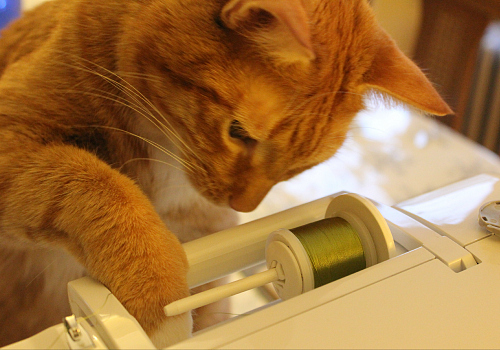 i looked up and found leko "helping" to guide the thread through the sewing machine. it was so funny, i just couldn't resist taking a few pictures . 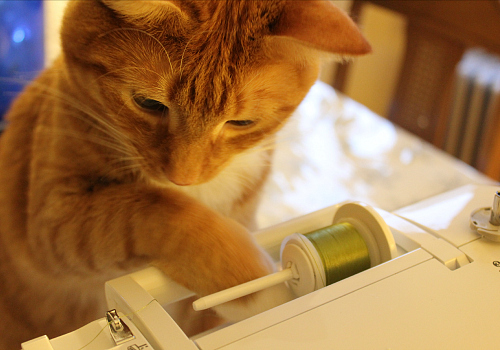 . .
he started off by playing with it pretty gently, then he got sassy and bit the spool of thread. i told him that he couldn't eat the thread. he got mad at me for stopping him and decided to get even by sitting directly on the fabric that i was sewing. "go ahead and try to sew now, mom!" since his little body was holding it down, i had to stop what i was doing. i guess he showed me! Watch that nose and tail. 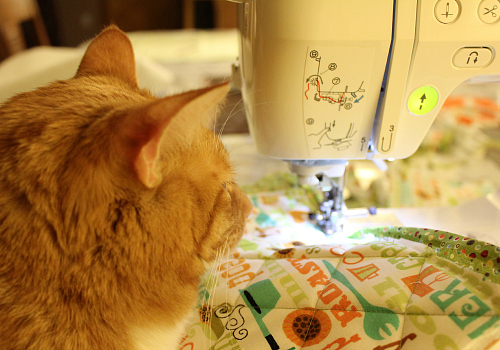 Looks like some nice quilting going on, is he helping? Haha. So lovely! I love your cat!